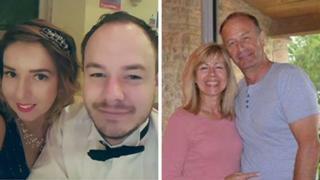 Tributes have been paid to four members of a British family killed in a car accident in Florida. The Stephensons – Adam, 30, Maryanne, 29, Bryan 66, and Sheralyn, 56, all from Bristol – died in the crash between their sedan and a pick-up truck near the towns of Titusville on Monday. They were returning to their rental dwelling after calling the nearby Kennedy Space Centre. Bryan Stephenson’s brother, John, said the family was “devastated”. He contributed: “We are ravaged at the loss of the four family members Bryan, Sherry, Adam and Maryanne, in such appalling circumstances. Bryan Stephenson’s boss, Emery Friend construct contractors in Bath, said staff were “deeply shocked and saddened” by the information. “Bryan was a appraised member of our squad and a acquaintance to many of us, he will be sorely missed, ” a statement added. Titusville Police Department said a preliminary investigation received Adam Stephenson drove the rented vehicle into the path of the truck on the SR 405 at the conjugation with Sisson Road. It knew GPS in the vehicle was ordering a “U-turn” at an intersection “most likely because of an earlier accident with road blockage”. Police said Adam Stephenson’s friend was also on holiday with the family but had not travelled to the opening centre.